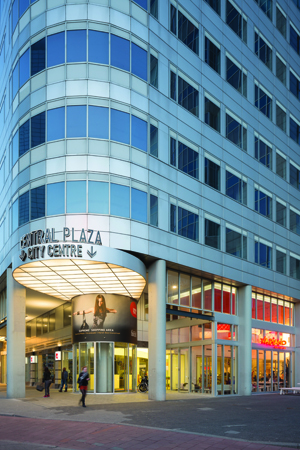 On 21 April 2013 the Central Plaza at the Weena Boulevard in the centre of Rotterdam is reopened after a thorough renovation of 6 months. 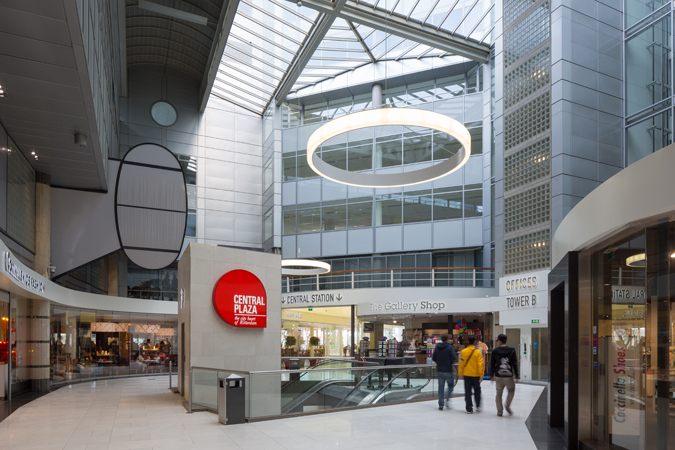 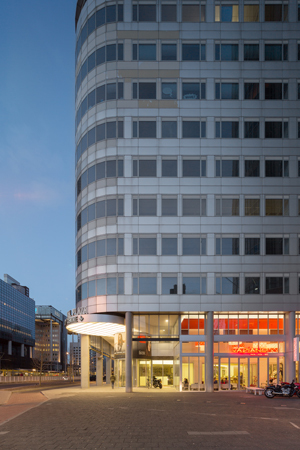 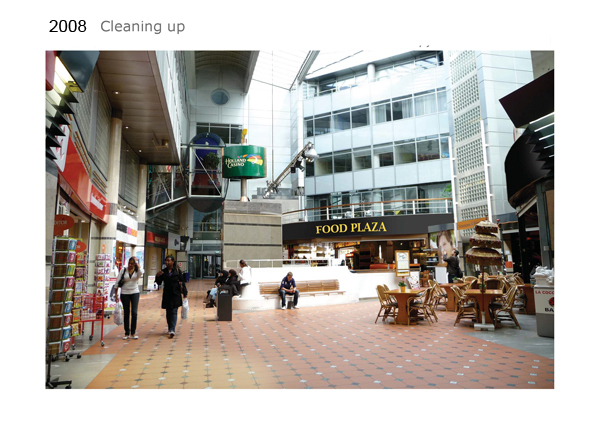 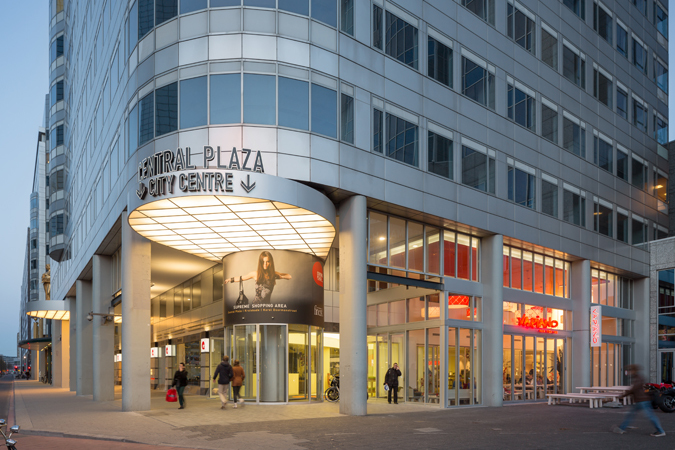 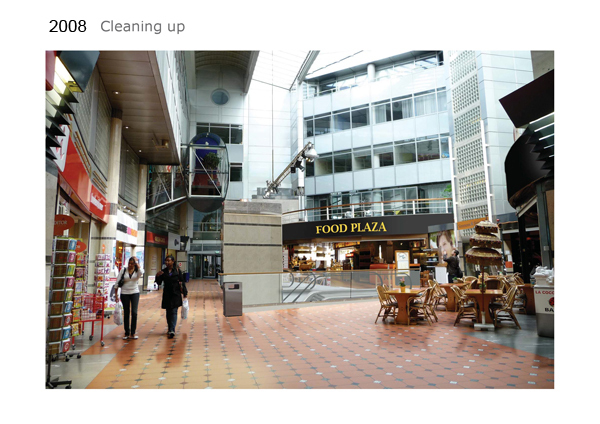 The complete refurbishment is achieved by GROUP A, commissioned by Unibail and Rodamco. 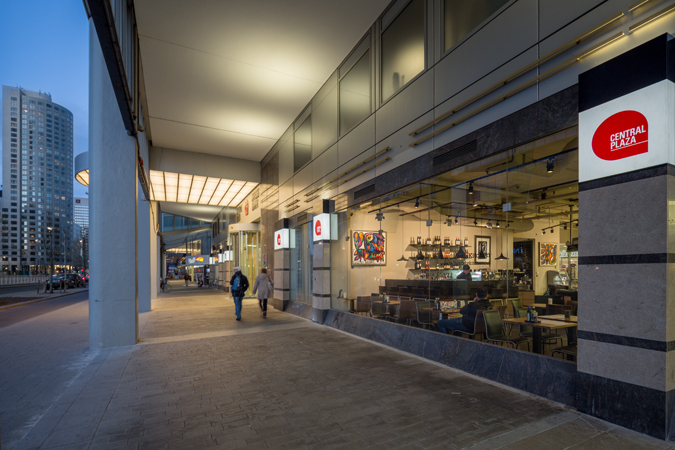 As part of the renovation plan Beersnielsen designed the lighting for the atria and outside arcade. 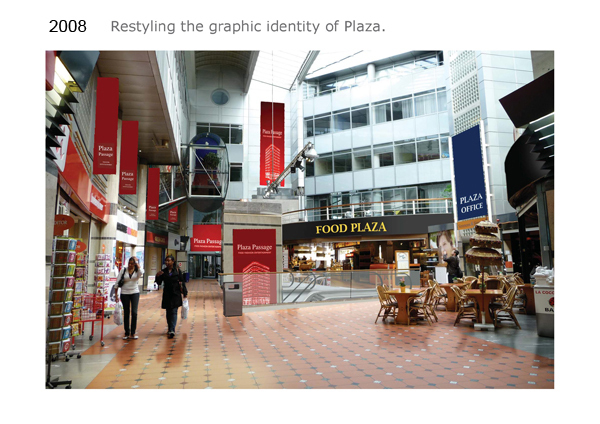 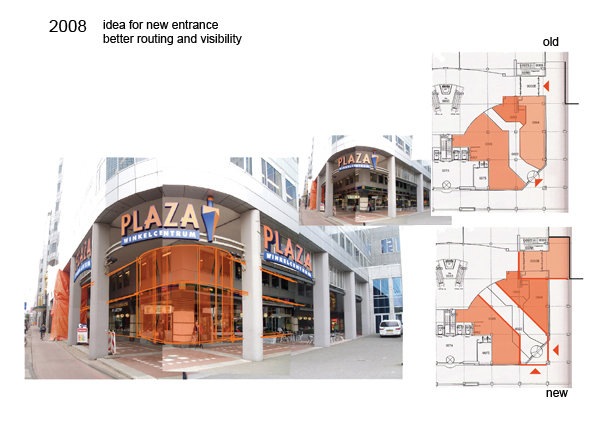 Already In 2008 Beersnielsen lighting designers was asked to make a new lighting plan for the Plaza shopping mall. 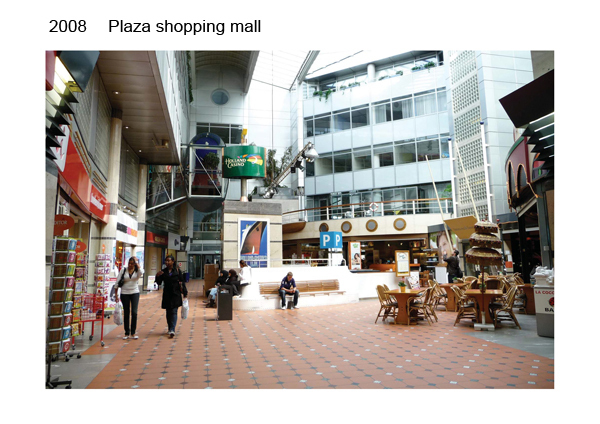 At that time, after our first analysis of the mall, we strongly advised not to start with the lighting and set bigger goals for improvement. 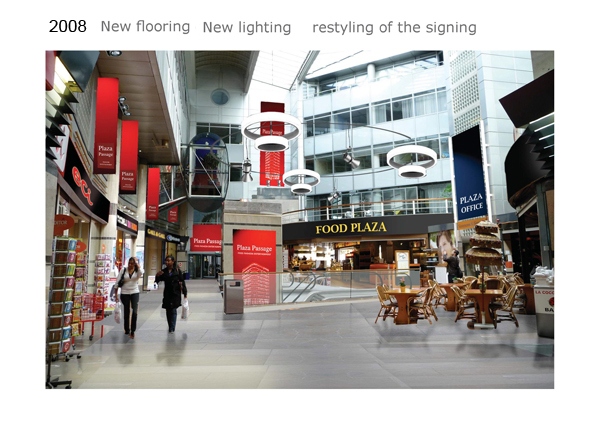 In our opinion new lighting only could contribute to an improved image if firstly the old-fashioned decoration would be removed, the routing towards and through the mall would be rethought (for example a new entrance would be highly recommended) and also a new plan for the branding of the mall was designed; see visualisations 2008. 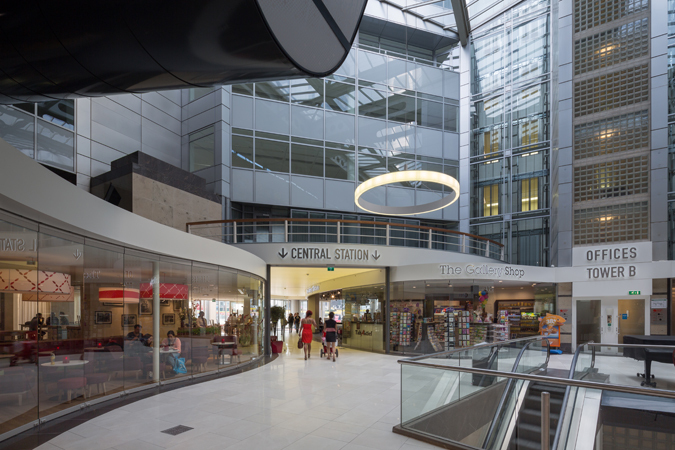 In 2011, when Group A architects was commissioned to design the renovation plans we were very glad to be asked to join the design team and explain our initial findings. 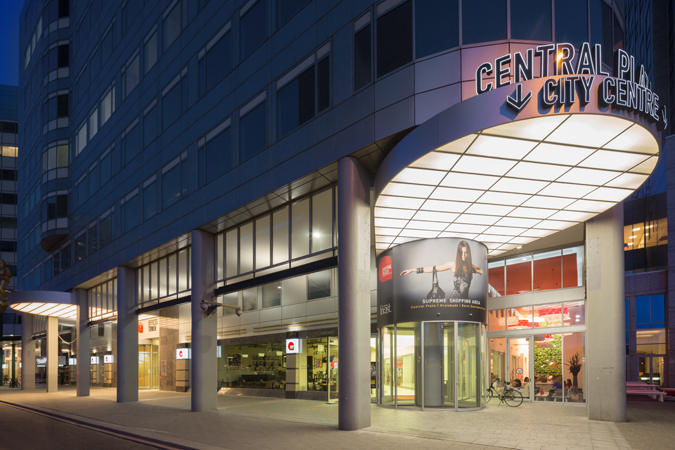 In the renovation process the old decoration has been removed, a new, bigger and more visible entrance is created, new signage, a new bright floor, a new corporate identity and new crisp and sustainable lighting has been installed.